Bright, shiny glass ornaments make wonderful decorations for a wreath or Christmas tree. All of the beautiful colors seem to sparkle and reflect brilliant light to brighten any holiday display. 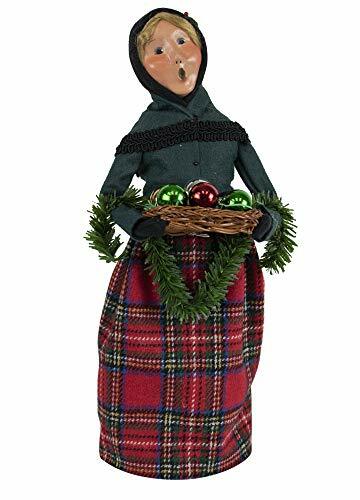 Byers’ Choice Glass Ornament Woman is masterfully hand sculpted and painted with a beautifully expressive clay face. Byers’ Choice Carolers have represented and American made Christmas Tradition for over 40 years.